Since the bull market in precious metals began in late 2000 / early 2001 the mainstream media has gone out of its way to function as a propaganda tool in the official war on gold conducted by the biggest beneficiaries of the thoroughly corrupted western banking, Central Bank and Government systems. Goldman Sachs’ technical analyst, Jeffrey Currie was on CNBC again urging clients and viewers to sell or short gold. With regard to this, I’ll point out that Currie had an $800 price target on gold for quite some time and he moved his target up to $1,000 once he understood the embarrassment of the $800 target. Too be sure, at some point the precious metals sector is going to experience a pullback. Perhaps as early as this week. But to the extent that inexorable and unfettered official intervention the market has prevented the price of gold/silver from a true price discovery process, it is quite possible for the metals to become extremely “overbought” and stay overbought for an extended period of time. I’m not making this my forecast – I’m saying that markets behave in unexpected ways when price-control measures are in place and the “time for a pullback” side of the proverbial ship is getting very crowded. 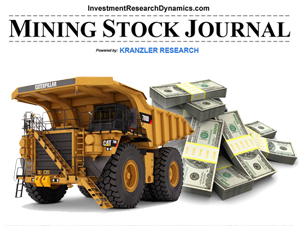 On a related matter, I featured a junior silver exploration stock in my January 10th Short Seller’s Journal on the premise that investing in mining stocks is a “contra” NYSE stock strategy and therefore a surrogate method of shorting the market. The stock is up 38% since then (44% in Canadian dollars) and I’m expecting some good news coming from the Company next week. 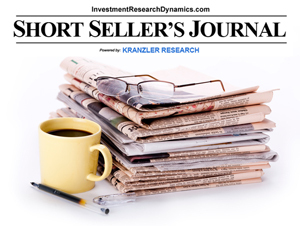 I’m offering a copy of this issue to new subscribers: Short Seller’s Journal. 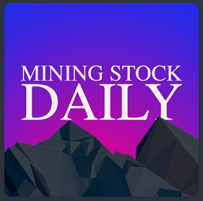 I will also be rolling out a Mining Stock Journal, possibly as early as sometime next week and subscribers to the SSJ will be able to subscribe to the new report for half-price. What Bill on CNBC? and actually said ESF…..Next they’ll have Chris Kirby on…. The U.S. Treasury stopped redeeming Silver Certificates for Silver Dollars in March 1964, however continued to redeem them for silver granules until 24 June 1968. Neverthless, Silver Certificates still remain a legal tender to this day, and occasionally one will still come across them. Now that would be some day! And you, Dave, obviously don’t read Bill Holter and Jim Willie! “Pullback”? Don’t make me laugh! Try “Re-set” or “Revaluation” of both gold and silver prices in “US$FRNs”! Read Bill Holter’s lastest article on http://www.jsmineset.com for a cogent view of how everything is about to change – possibly after the G20 meeting in China which starts tomorrow, Friday 26 February. This process is now inevitable and only the timing is unknown. In my view, they can’t afford to wait any longer and must revalue gold as soon as possible in order to balance the balance sheets of central banks (and also commercial banks) of countries which have gold or are acquiring gold. That is the problem/solution in a nutshell but, as I say, the timing is crucial as there is now a certain urgency which drives this process, or ‘wills it to manifest’, if you prefer. There’s nothing new in what you just said. I prefer to think about what’s already known and anticipate the NEXT development. We already know there needs to be a reset blah blah blah. I think WW3 breaks out first because I don’t see the U.S. allowing a reset to happen willingly. That’s what history teaches us. Unfortunately, I agree, because when the US gets disagreeable, they get rather belligerent. 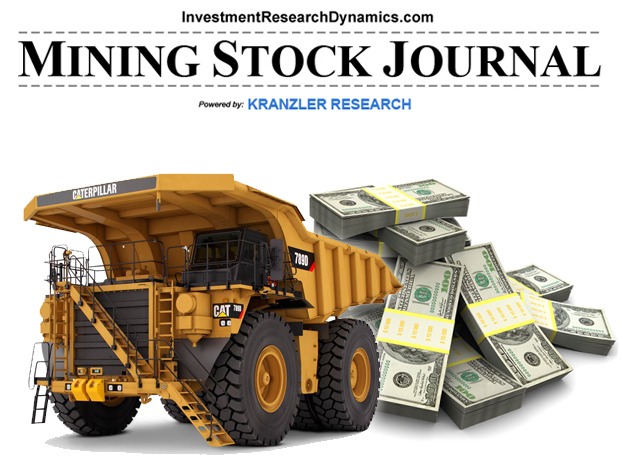 The “Reset” the gold unicorns dream about, where they skip merrily to the bank with their stack, will instead be rather messy and chaotic – nevertheless a must. methinks. They, the fiat power brokers, will always find a deep pocket of gold somewhere in the world like Libya, Venezuela, Ukraine, Canada to continue to play the three-card Monte game with precious metals – until their hand is forced by an outside force – Yep, like China and Russia. Of course, the question is; When is the necessity of the “reset” by the interested parties manifest on the timeline? Until then I will continue to read your site daily and against my better judgment, I may get back in the game with your short sellers journal. Bill has beat his head against the brick wall of manipulation for too long. Time for him to change it up a bit….. Take a few off, live a little. I know Bill pretty well – trust me, he lives a charmed life. Don’t forget he’s an ex-NFL wide receiver. I know Bill pretty well – trust me, if lives a charmed life. Don’t forget he’s an ex-NFL wide receiver. I know some will call this story pro-Russian propaganda, especially the anti-gold propagandists. You have to hear from different sources, biased or otherwise to get the big picture.